​Ajax stunned Real Madrid 4-1 at Santiago Bernabeu Stadium on Tuesday, eliminating the three-time defending champion 5-3 on aggregate in the round of 16 of the Champions League. More than 1,000 days since winning the first of three consecutive European titles, Real Madrid unprecedented era of dominance ended with a whimper when the Spanish giant was stunned 4-1 by Ajax at Santiago Bernabeu Stadium on Tuesday. In the end, the club renowned for assembling its team with expensive "Galactico" signings was undone by a club centred around a core of homegrown young talents. In Tuesday's other game, Tottenham won 1-0 at Borussia Dortmund to go through 4-0 on aggregate, reaching the quarterfinals for the first time since 2011. 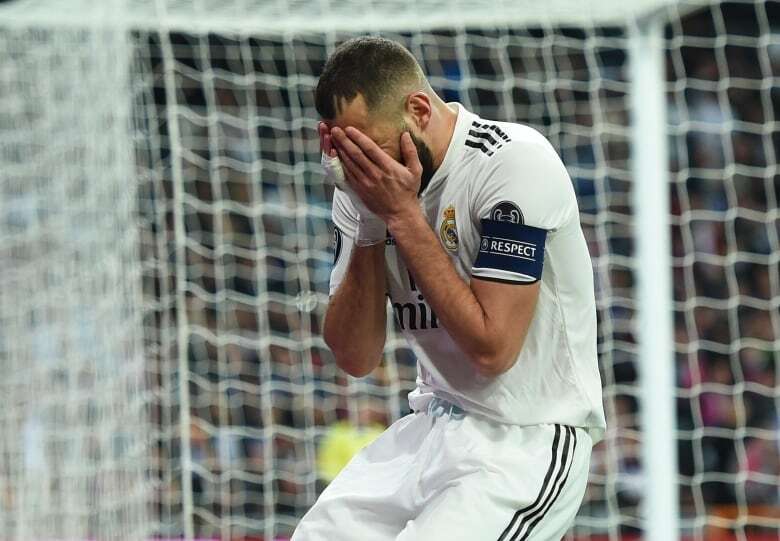 For Madrid, it was the fourth straight home loss in all competitions, something that hadn't happened since 2004, and capped one of the worst weeks in the club's recent history. The team was coming off two demoralizing home losses to archrival Barcelona — 1-0 in the Spanish league and 3-0 in the semifinals of the Copa del Rey. Out of the Copa del Rey and 12 points behind Barcelona in the Spanish league, the Champions League was Real Madrid's only realistic chance of winning anything this season. Madrid was without suspended captain Sergio Ramos, who was sanctioned by UEFA for deliberately earning a late booking late in the first leg, and the defence struggled from the start on Tuesday. The attack also faltered again, with the forwards missing chance after chance. Borussia Dortmund's hopes of an unlikely comeback were denied by Hugo Lloris and Harry Kane as Tottenham reached the Champions League quarter-finals with a 1-0 win on Tuesday. Dortmund needed to overturn a three-goal deficit and duly dominated the game in terms of possession and chances, offering the visitors no respite.